Bulle, Switzerland (22 March 2016). 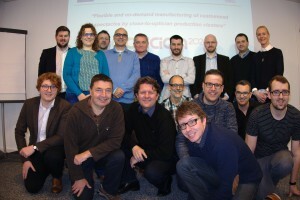 Lens World hosted the 6th meeting of Optician 2020 project. All partners met in Bulle for a 2 days meeting. The meeting aimed at tracking the progress of the project and plan upcoming tasks. During the meeting, partners presented an overview of results obtained of finished Work Packages and reviewed recent activities in Industrial Sustainability, as well as in Dissemination and Exploitation. A clear focus was put on the follow-up of the demonstration activities being carried out in the two mini-clusters set up by the project. 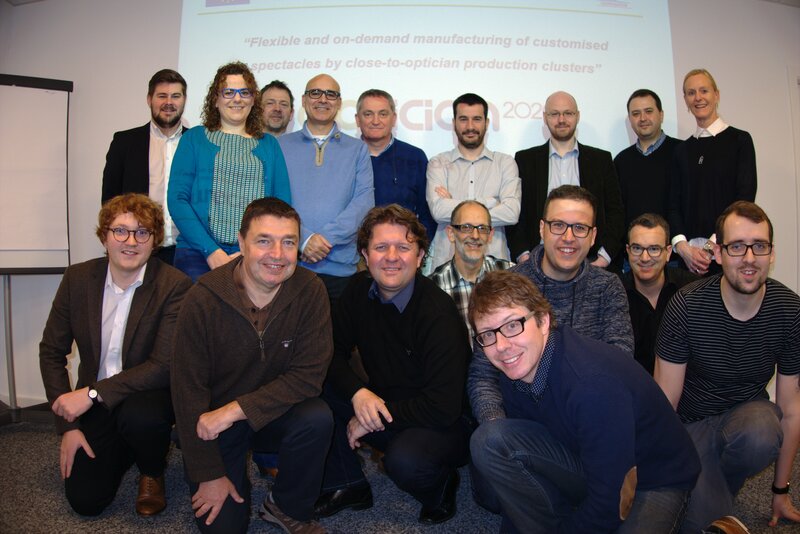 Partners revised data from produced spectacles, planned future work and discuss enhancements performed and to be applied to the supply chain and related technologies that refine Optician 2020 proposal for flexible and on-demand manufacturing of customized spectacles. Lensworld also provided valuable feedback regarding real user’s acceptance of Optician 2020 spectacles. The meeting also included a visit to Lens World, where all partners could see Lens World’s installations and enjoy a demonstration of the acquisition of user data and design process. This entry was posted in News by Lucia. Bookmark the permalink.